This is tax season. For the ordinary taxpayer the deadline for filing your personal return for the tax year 2017 is April 17, 2018. Why not April 15th? Well, this year April 15th falls on a Sunday and April 16th, according to the IRS, “Emancipation Day – a legal holiday in the District of Columbia – will be observed on that Monday, which pushes the nation’s filing deadline to Tuesday, April 17, 2018. Under the tax law, legal holidays in the District of Columbia affect the filing deadline across the nation.” And if you’re a business owner the due date varies by the business type. There is much to understand about completing and filing tax returns and if you are a tax preparer or accountant the necessity of understanding errors and omissions insurance is critical. If you’re a regular reader of the John Bailey Insurance Company blog, then you might remember last August we published “Consider 5 Critical Items for Professional Liability Insurance.” At that time, we covered in detail the various names that errors and omissions insurance (E&O) can be referred as…professional liability insurance (PLI) and professional indemnity insurance (PII). Today, we want to zero in on why accountants need to focus on this coverage type. Let’s face it! The average consumer’s ability to understand tax law ranges from no understanding to being very well informed. This range can make for difficult transactions between an accountant and their client(s). After all, the client is paying for a service and they expect fast and proficient service. In September 2017, Charong Chow writing for the CPA Practice Advisor shed light on the importance of accountants working with a knowledgeable insurance broker to assure their E & O coverage is adequate. 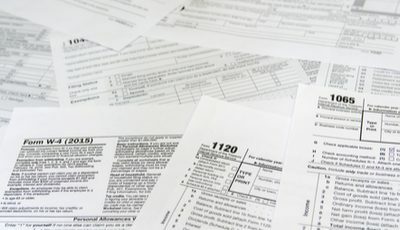 Most people start thinking about “doing their taxes” or having their taxes prepared when they receive their W-2(s) and/or 1099s. Various television ads for nationwide tax preparation firms might also alert one to get organized. But accountants need to stay organized and abreast of any tax law changes throughout the year. For accountants, tax season is every season: summer, spring, winter or fall. In February 2018, Accounting Web offered some industry insights about What Keeps Accountants Awake at Night, if you are an accountant you might want to subscribe. John Bailey Insurance Agency serves small and mid-sized accounting firms. We specialize in custom insurance packages tailored to your operational requirements handling risk management, so you can focus on your clients. Contact our team today.